I didn’t see much else, but there stood an entire world of wisdom in front of me on this topic. This is Part I of the Secrets to Building Wealth series. Click Here to Read Part II. I recommend you read it afterwards, if you want to continue the secrets to building wealth, and learn how to become a copywriter. At that point in my own development, I really had no idea what these ideas meant on a deeper level, though I was repeating them as if to affirm and cement them. If you’re keen enough to pick them out, you’ll actually notice I run a few pieces of content here like this. I repeat and solidify what I’m learning for my own benefit as well as yours. I want you to get the most of it, and I also want to elevate my own processes. Today, we’re jumping right into a new and much upgraded edition in this series. Now it’s time to get our hands dirty, creating exactly what we want in life, and nothing else. Wealth-building is usually focused on in the area of finances. But what good is $10 billion if you’re 120 pounds overweight? 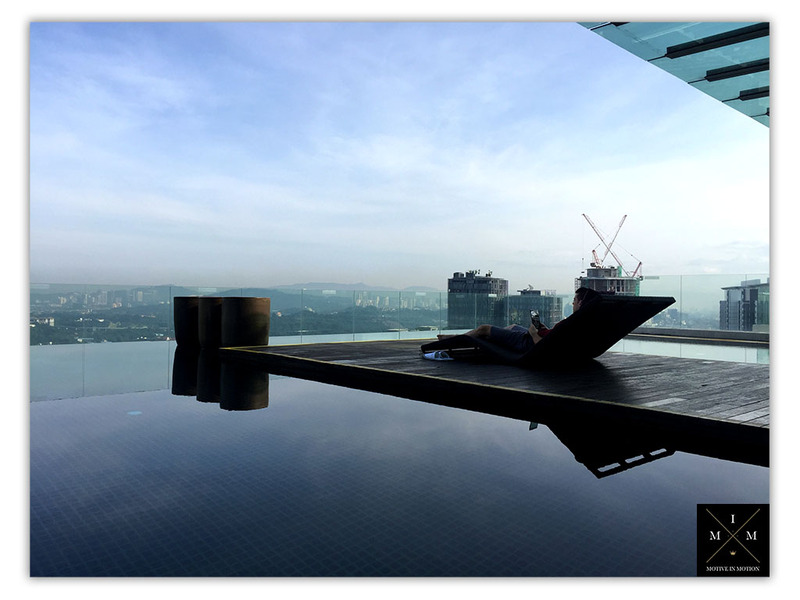 How does having a diversified real estate or stock portfolio help you, if you’ve got nobody to share nice evenings, universal talks, and dinners with? What about having all the financial ability in the world, but never creating inner stability, focus, and peace? The type of scratch that makes people drop jaws is not worth its salt unless you have the freedom to enjoy it. So in this light, I’ve worked out my own code here at Motive In Motion, called the Triangle Code. I looked at my own life, the lives of my successful circle, and the mentors I look up to. One thing I like in all those I admire or emulate is is their balanced structures. The (few) people I view as truly successful have a stable foundation. Their health is on point, their wealth is on point, they’re happy, free, and have quality people surrounding them. To me, the accumulation of (only) numbers on a screen is not. Not to say the former isn’t absolutely essential to a happy and fulfilling life… It is. But it’s not the only thing. 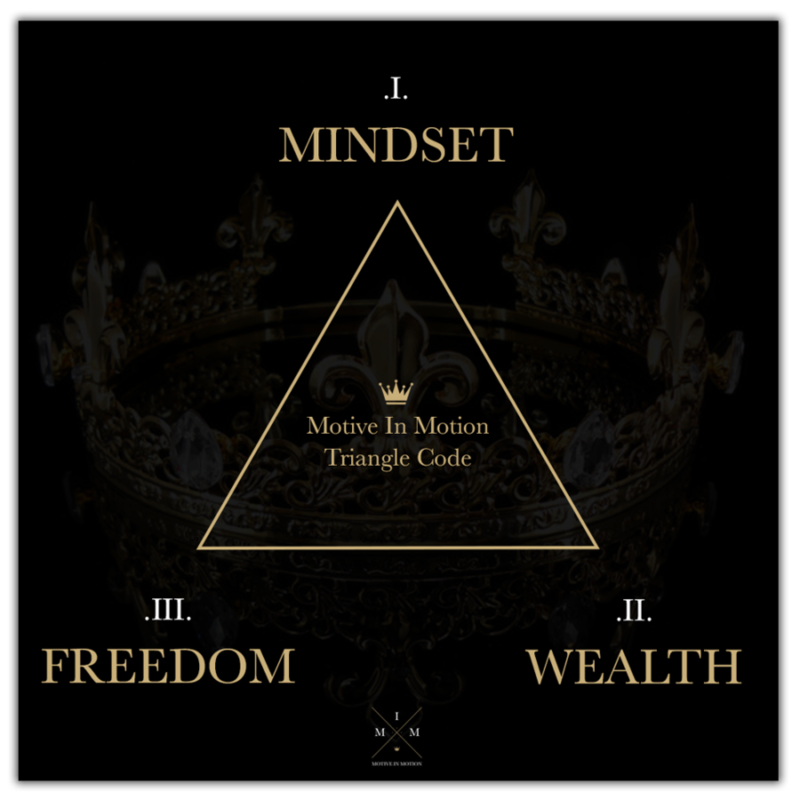 So this is part of the inspiration behind the Triangle Code here at Motive In Motion. And on that note, here we need to discuss an aspect of mentorship for a second as well. This is one of the biggest secrets of building (true) wealth, though it’s not what you might think. Because of a key concept instilled to me by a mentor I met while traveling, and it’s a revolutionary shift for your mindset. There’s a big issue with learning from anyone and everyone, especially online. The main reason for this, is you’ve got to fact-check and confirm that the person you’re learning X, Y, or Z from. Are they where you want to be in that particular area? Want to learn finances? Better be learning from a certified millionaire or above. Want to learn copy? Better learn from a successful copywriter. Want to learn how to build an online business, drive a backhoe, rent out properties? Then you need to check up with whoever’s currently doing that thing successfully. It’s not about finding a perfect person, because they don’t exist. It’s more about finding a mentor who’s currently in the position you want to be in, in a particular area of your life. On top of that, it’s about heeding that specific wisdom only. A lot of people have one area of their worth emulating life on lockdown, consistently killing it. However, many other areas of their lives may be in absolute shambles, a train wreck. Ergo, you’d do best to only follow the advice which they take themselves. Sometimes, this is unconscious, nonverbal advice that you pick up by reading in between the lines. And therein lies a big key about reading between the lines, especially when dissecting business models. This was given to me by a mentor of my own, as a matter of fact. 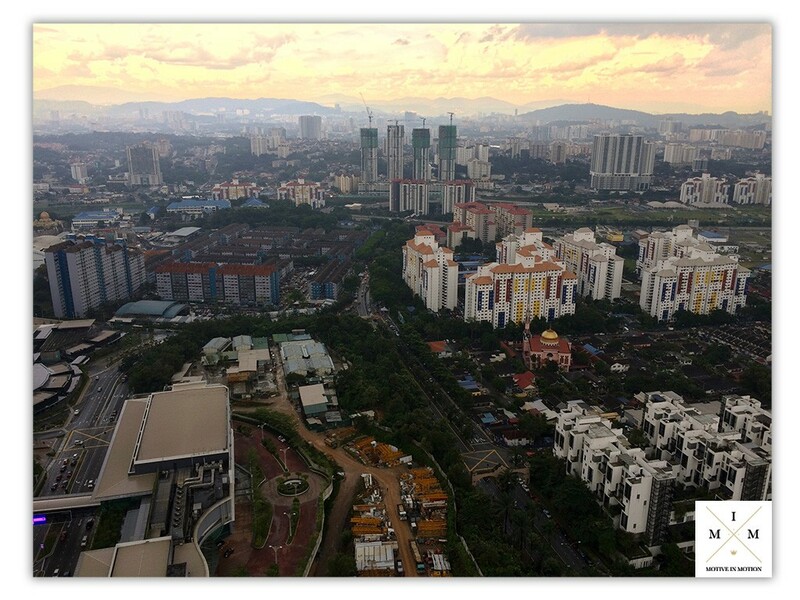 Vast view of the sunset from above… Notice the mosques, offices and banks below.. I was cruising my way through Malaysia some months ago. I was fortunate enough to stay at a gentleman’s house through AirBnB. 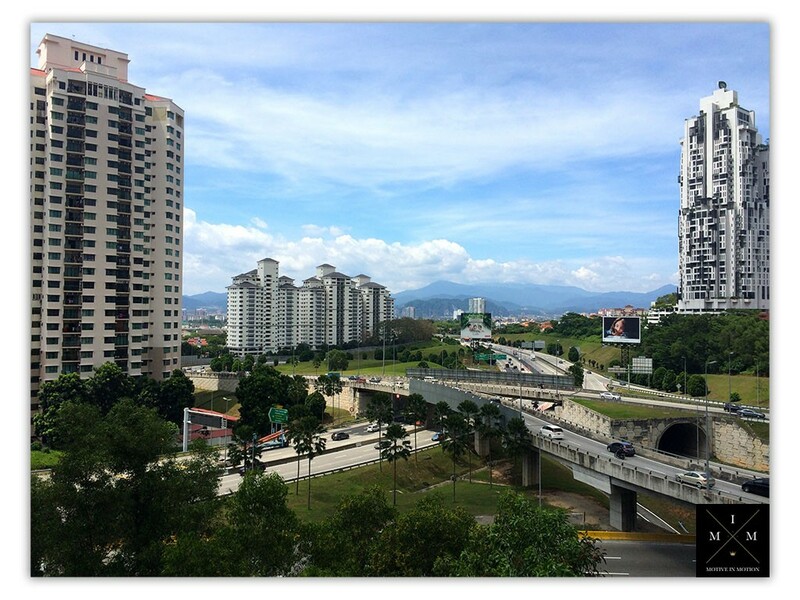 My trip consisted of hopping around different districts, experiencing different flavors of a city called Kuala Lumpur. Another was high-scale, nice malls, events, trade shows, etc. Still another was more business-driven, tall corporate office scrapers, business attire on the street. This district is where I stayed on my last night in the country. I decided to “splurge” on a hotel, to “taste the dream”. That concept is reserved for later in this “How to Get Anything You Want” series, coming soon. Anyways, one of my stops throughout this particular journey was to a multi-millionaire’s beautiful Victorian-style home, custom-renovated, with a home theater in the basement. This fella was so generous with his time, that he set up the basement home theater for me, and made himself available (when he wasn’t out visiting his multiple real estate properties). He also continually plopped down on the couch with me, to unload some valuable nuggets of success. One of his key concepts was “reading between the lines”, in business and life. Dissecting people’s plans and business models, searching for the hidden levers that make them tick. Watching their actions. Listening to your gut-level intuition, that’s been programmed into you for your survival throughout the ages. “You always want to search for why things are working. Read between the lines. Most people who share their insights in the market will give you about 80-90% if they’re generous, and people can gain a lot from this. But what they won’t give you, is that last 10-20% that really makes things blow up. Generally, I tell newbies that you should start doing what’s proven before you try and reinvent the wheel. I always say the world is so competitive, try to minimize your work load. During your experimental phase, don’t go for the kill. You never know what people have brought into the world and why it’s working. There’s a working product or offer you see in the market, but with just a slight tweak that makes his work and yours doesn’t! Don’t reinvent the wheel. When you see that a product is working, and you think you can build your audience around it, make it better, and sell it more efficiently, you really never know. I knew about a fishing company where tourists and travelers would come to this pond-attraction in Malaysia to fish, and it was always re-stocked. It was a fun place and event for families, so all these me-too businesses started popping up. However, the owners that started the trend were the first and the last in this business. All the me-too guys went out of business, because they didn’t read between the lines of the successful model. The pivotal key that made the original owners successful? Where they got the fish. They imported them from somewhere at discount prices, because the owner already had connections in that world. Therefore, his business numbers made sense from the start. This is why it’s important to do your due diligence while still recognizing that you may never know all the moving pieces, and how or why they fit together. Also, the importance of creating your own lane is incredibly relevant here. Being a me-too in business, or a copycat in life will never get you anywhere. There’s only one of you, and more than seven billion other unique individuals. There are multiple levels of learning, the first of which is repetition, or rote memorization. This is the stage where you have to submit to memory the thing you want to permanently learn. It’s a superficial level, but one that must be applied. Next, is internalization, or a cementing of the thing you’re practicing. You’re still not unconsciously competent, (which is the most advanced level). However, at this point you are integrating whatever the habit or practice may be into your daily life. Unconscious Incompetence – You don’t know you don’t know. Conscious Incompetence – You know you don’t know. Conscious Competence – You know that you know. Unconscious Competence – You unconsciously know that you know. Moving forward from internalization is the application and action of the skill into your life. The difference between application (2) and mere internalization (3) is that you’re actually out in the world, practicing. Let’s say you want to master yoga. At this stage, you’re taking the poses you internalized in your mind’s eye, and you’re practicing them. The fourth and final level of learning is mastery. You’re “there”, though you might not feel like it, because it’s an ever expanding journey. Getting from level one to level 99 takes about the same work as getting from level 99 to 100. There’s the “Top 1%”, then there’s the top “.0001%”. In that chasm is an absolutely enormous difference. I’m willing to say that getting from 1 to 99 is actually easier in many ways than getting from 99 to 100. This has been my own experience mixing with masters. The master is leagues ahead of the proficient. 1. Reading about Yoga, watching videos on the topic and memorizing poses. U.I. 2. Walking around town, playing those videos and images on the screen of your mind. Assimilating how you might do them, what challenges might come up, and how it’d feel to practice. C.I. 3. Hitting the actual studio, tuning your downward dog and child’s pose, challenging your body to hold tough poses. Still C.I. 4. After 6-12 months of weekly yoga, (or even 3 months of daily yoga), you start seriously progressing. You program your muscle fibers for these poses. You quiet your mind during practice, and slide into poses with ease. Your core strength develops and supports you. C.I. 5. After 6 years of multiple-times-weekly yoga, you’re a master. You practically do the poses in your sleep. Showing up to the studio and getting into your flow state is second nature. U.C. There are tons of people proficient in giving you what they are not. Past the random Joe on the street who’d give you advice about this or that, we’re talking about people who actually have platforms. People spreading false information, empty theory, or potentially dangerous advice. I’m talking about the broke life coaches. The sales trainers who can’t sell. Designers whose work is ugly. No… that couldn’t be so, could it? Yet people still follow because it’s part of our programming. If we’d take a half-millisecond to think about who we get our information from, we’d recognize 90% of people are in the second level of learning (C.I. ), and usually stay there. The masters are rare, and most masters have sealed lips anyway. They get to the top, and reside there silently. Most people are in phase one (U.I. ), or phase two (C.I.). Why? Because reaching levels three and four ain’t easy! Many of the people teaching are either aware they’re not masters (C.I. ), or they think they’re good, but their true level is actually U.I. And that’s usually the point they decide to profess what they know. Scary. If you’re on the journey, and fully admit you’re not a master, but want to share your growth, lessons, and path to mastery, that’s one thing. But proclaiming to be something you’re not will get you toasted in the end by the people who matter, every single time. Or, “Those that can’t do, teach”? These thoughts have real weight, and are usually very true. Clichés are cliché for a reason. So remember to always watch who you’re learning from, fact-check their results, and commit to mastery. The fakers always get found out in the end. In a word, it is the state to be in when looking forward and creating your visions, future and path. From ancient Greek. To be inspired or possessed by a god, and rapt in ecstasy. Divinely inspired, god within. This is one of the most powerful, forward-focused states in the world, and it is a channeling of your own god-within power. All of us are creators. Me, you, your brother, your uncle and grandma, everyone you’ve ever known or met. But all the time, through many means, you’re inundated with the message of the opposite. Not to mention the multi-pronged attack on your lifestyle, to keep you docile and obedient. The calcifying of your Pineal Gland (through fluoride in the water systems). Music played at different frequencies than its natural resonance – 432 Hz. Ever wonder why you’re absolutely floored anytime you hear classical music, an organ, or Gregorian chants in a cathedral? Subliminal media messages, forcing you to consume, follow, obey, and fall in line. We could go on, but the point of this myriad of attacks is to keep you at the lowest possible conscious vibration. To confiscate, subdue, and hush your infinitely powerful creative abilities. But rather than dwell on this topic, get caught up in the spreading of conspiracies, or further your inundation, how about we search for a personal solution? Using this creative force within yourself is the highest gift you can give to yourself and your creator, if you believe in that. In my own journey, I went through a long-winded process of being indoctrinated raised Christian as a kid, into a spiritually void lifestyle. When I got to Thailand, Christianity melted off me as unnecessary, irrelevant. Following a set religion with the conviction of “being right” and having many of the universe’s biggest answers seemed a little ridiculous. At this time, jaded on religion, I didn’t make time or space in my life for anything that had to do with religion or spirituality. However in due time, I came full circle to honor the paths and people who’d gone before me. So serving the creator, and the perfection within myself (the creation), is of a high importance to me once again, but now on my own terms. Coming back from that long-ranging detour, I want to show you how I was able to get my start, in my main focus of copywriting. This is a real-world example of the yoga example, only it’s with my own journey, struggles and all. However, this post is getting lengthy, and we have a ton left to cover. We’ll pick this story up in Part II, where you can learn how I made my first $5,000 writing sales copy for clients, including the level-by-level lessons I learned within. If you’re still at that level now, this is a must-read post. You’ll see how I took the whole plan from idea to actual business, how you can do the same, and how thoughts, feelings and images create your tangible reality. We’ll pick this conversation about how to predictably build balanced wealth in Part II. This has been Part I of the Secrets to Building Wealth series. Click Here to Read Part II. I recommend you read this now, if you want to continue the secrets to building wealth, and learn how to become a Direct Response Copywriter. And you’re interested in using words to pay and pave your way in life, you’ve got to check out something special. 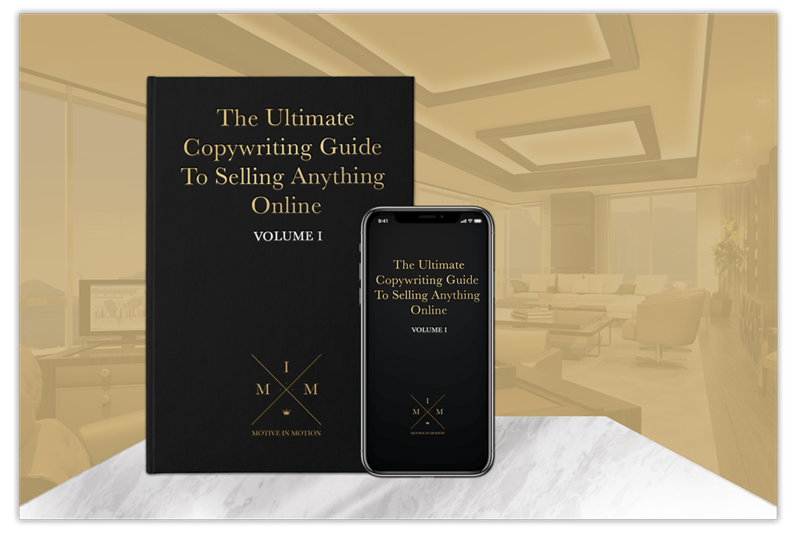 It’s called The Ultimate Copywriting Guide to Selling Anything Online, aptly named since I’ve pretty much sold it all. Consulting services, information and digital products, sales copy. E-commerce products in a myriad niches and markets like hunting, dog health, outdoor adventure, you name it. 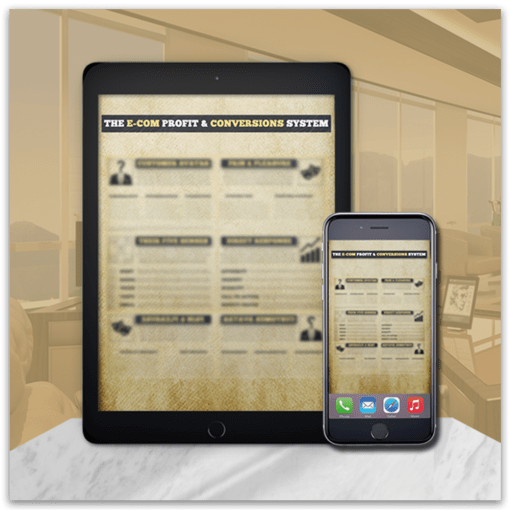 It’s a (very) brief and actionable manual to doubling your conversions and earning online income (many times passively) by selling with words. Pick it up here before the price goes up when it’s combined into a multi-volume. Put it into your business. It’s no fluff and no B.S.